How do I know if my relationship is in trouble? – Are you & your partner(s) arguing more than you used to? – Do you find yourself having the same arguments over & over? – Are you feeling unsure what is going on & how to help? – Do you feel like your partner doesn’t “hear” you & doesn’t seem to care about how you feel? – Are you feeling alone in your relationship & wondering what happened to the happy couple you used to be? – Are you worried that you’re just not going to be close again? – Do you want to see a therapist who gets LGBT relationships or non-monogamous/poly relationship arrangements? If you answered yes to one or more of these questions, your relationship might be in trouble. Talk with our Intake Social Worker to schedule your appointment. Romantic relationships/partnerships and marital relationships are often our most vital and central connections and the ones that bring up our deepest and most intense feelings. As a result, they are often where we feel the greatest joy and the most struggle. They are also where we experience old wounds and patterns from our earliest, primary relationships, such as our parents, caretakers and siblings. Therefore, it is in these relationships we attach our greatest hopes and suffer the deepest disappointment when these expectations are not realized. When we are experiencing relationship issues, they often the most distressing and unsettling. Because of how foundational these relationships are and primal our responses to them, they can also be the most difficult to face when they are not working. This is why, many times, couples are and have been in crisis for some time before they seek help. This means there has been sometimes years of growing anger, disappointment, conflict, withdrawal and detachment. Some couples continue to engage each other, but these are often battles. While others have become more distant and disconnected from one another. And many times, they are a combination of both of these as they alternate between fight, flight and freeze to cope with the pain that interactions cause. The desire to protect yourself from further hurt, can be the very thing that also drives you apart. Vulnerability is necessary for connection and bonding. When people feel hurt and disconnected, being vulnerable can be incredibly challenging and is often avoided. I get that coming to couples therapy or marriage counseling is often the last thing people want to do. It is not easy to face what is not working and yours and your partners part in these issues. As an LGBT therapist and someone who has been working with issues of sexual orientation, gender and identity for over 30 years, and so specialize in working with gay and lesbian couples. Not only will you find me affirming, I also get the unique challenges that LGBT couples face. I also have a background in sexual health and understanding human sexuality in general, and therefore, I am comfortable with the many ways in which people express themselves sexually, whether it is “traditioinal” or kink. I can help non-monogamous, poly and open relationships to develop ethical understandings and agreements to meet the needs of those in the relationship and address relationship issues. When coming to couples counseling, the goal is to figure out where the wounds are and how to enhance connection, intimacy and bonding. When couples come in for couples therapy or marriage counseling, I, as your psychotherapist, will first assess the dynamics in the relationship, including those that have worked between the couple and those that have not. Using psychodynamic, attachment theory and attachment styles, and imago approaches, as well as narrative therapy, Emotionally Focused Therapy (EFT) and ACT (Acceptance and Commitment Therapy), I, as your couples counselor, will help you each figure out your part in the issues they are facing, both in terms of perception and behavior. 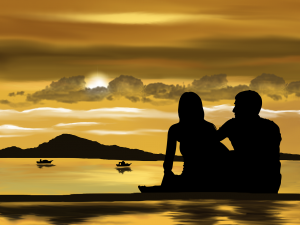 In understanding what is occurring for each partner, the counselor will help you understand yourself and each other, to reduce your reactions to one another and increase compassion and empathy. -being able to be responsive, rather than reactive. -and while the goal many times in couples therapy is to help the couple stay together, in some cases, couples therapy helps couples to separate in a way that honors their relationship and minimizes harm. Whether in couples counseling we work on resolving the issues that are hurting you and your relationship, so you can stay together or you decide it is best to separate, it can be helpful to have an understanding, compassionate professional to help you sort these issues out together. I believe that ending a relationship does not often resolve the deep and painful issues that impact individuals and drive couples apart. For this reason, I think investing in these issues in an attempt to heal the self and the relationship, make couples counseling and marital therapy, a vital and worthwhile process for couples to invest in to repair and strengthen their relationship and in some cases, end the relationship or marriage in a way that help both to grow.